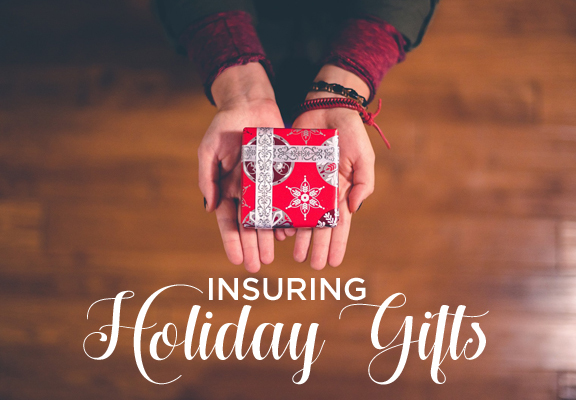 If you’re planning on giving an pricey gift to a special someone this holiday season, you’ll want to consider insuring it. Many gift items will already be covered under your current homeowner’s insurance or renter’s insurance, but if the item is very expensive, it most likely will require extra coverage. When giving gifts like engagement rings or other jewelry, valuable paintings or bikes for example, you will definitely want to consider purchasing additional insurance coverage. Very valuable gifts need to be fully insured in the event they are stolen or lost. First, consider the gift itself and it’s total cost. What is your homeowner’s insurance or renter’s insurance policy deductible? If the item costs less than your deductible, it’s probably not necessary to insure it separately. Next, do you know what your homeowner’s policy cap is on valuable item categories?Insurance companies, like Erie, put caps on valuable items that fit into certain categories in order to keep insurance affordable for policy holders. Categories include things such as fine art and jewelry, high-end cameras, firearms, instruments, collectible items, fur clothing and more. If you’ve purchased a valuable gift or are planning on it, contact D.E. Cressman to find out what the current cap is on that item category. Together, we can figure out if additional coverage is needed and exactly how much. If the item is added to your policy, it will require an appraisal. This should take place before purchasing, ideally. It’s also a great idea to purchase the gift using a credit card if possible. Many credit card companies offer their own protection policies. After all, the more coverage, the better. Please contact D.E. Cressman with any questions- Happy Shopping!